Beyond The Tiara — Thomas C. Duncan, Sr. Featuring the rodeo queens of the west, this 200-page full-color photobook tells the stories of those who tell rodeo's stories. 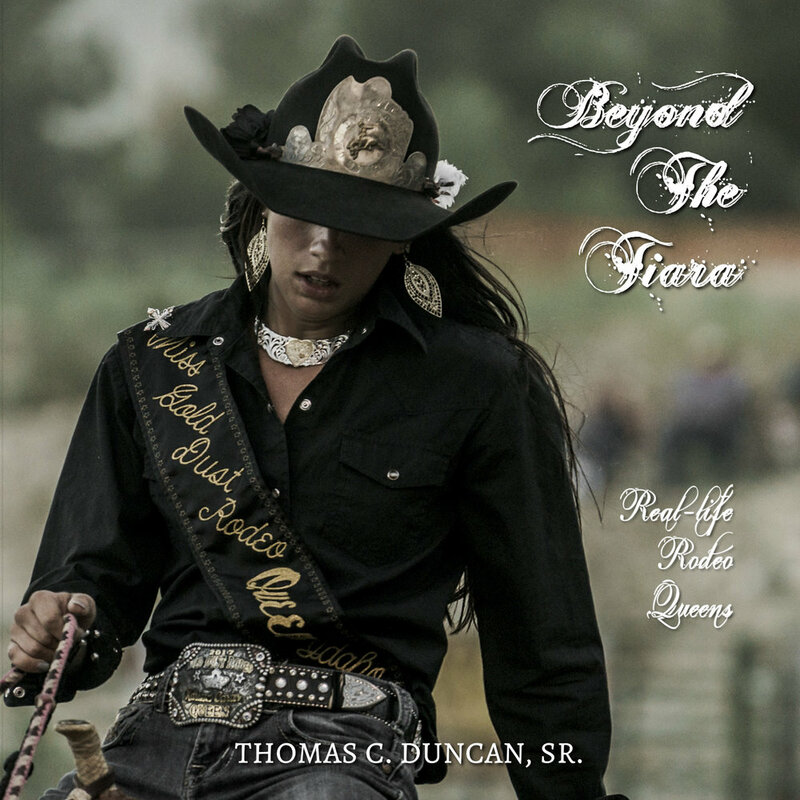 Rarely overlooked, but frequently misunderstood, these representatives of rodeo in sequins and spurs are the subject of Beyond The Tiara by award-winning rodeo photographer, Thomas C. Duncan, Sr.
from the arena to the stage, and everywhere in between, beyond the tiara offers a unique glimpse into the lives and activities of rodeo queens across the west. hard at work, and more so at play. each has her own story to tell, even as she takes on the responsibility of representing her sport and the western way of life. see the queens for who they truly are — past the glitter, through the dust, and beyond the tiara.